Take a walk on the wild side! But be warned, this gorgeous selection is not for the timid. Voodoo Sedum (Sedum spurium 'Voodoo') features brilliant succulent leaves that are edged with maroon red margins. Star-shaped, rose-red flowers bloom in late spring to midsummer. They draw in butterflies like magic! 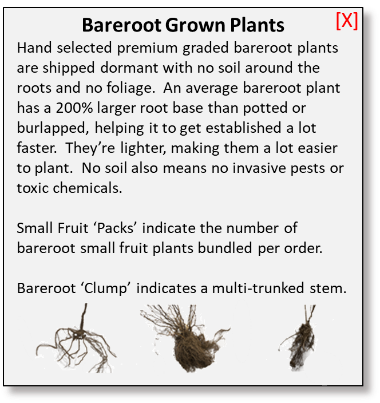 Use in rock gardens, in borders, or on slopes to control erosion. Grow them in a mass for a ground cover by spacing plants a foot apart. Voodoo plants are evergreen in warm winter climates. This plant thrives in sandy or gravelly soils but needs good soil drainage to perform well, so avoid overwatering. Voodoo does tolerate some light shade and is deer and rabbit resistant. Gain the visual power that Voodoo delivers at the base of your garden. It's simply enchanting. Order yours today!